This summer, retired Shirley Schofield of Camberley, Surrey faced the daunting task of having to quickly find more storage space in her home, as her two young grandsons were scheduled to come to permanently live with her and her husband, bringing their belongings and toys with them. Shirley’s garden shed, although large and spacious was quite dilapidated and like many of us, she used it as a dumping ground for household and garden clutter and junk. Shirley dreamt of turning the garden shed into a usable, versatile space for her grandsons to play in, and as an area to house their piles of books and a computer for gaming on. 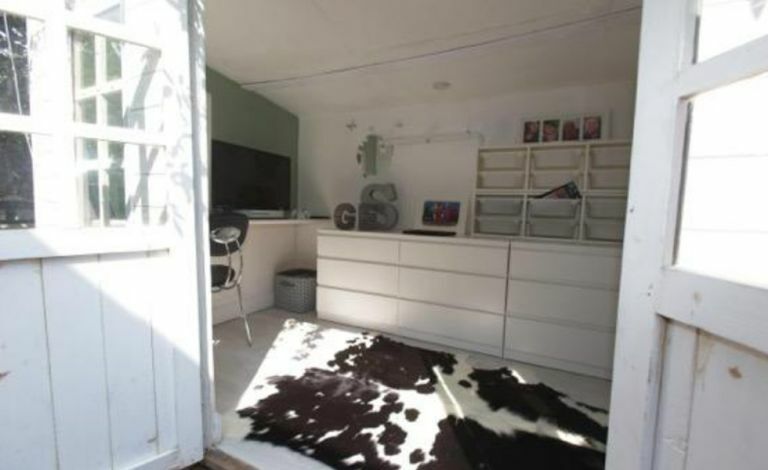 Thankfully for her, Shirley entered a nationwide competition, run by Clearabee, the on-demand rubbish removal service, to win a garden shed clear out and makeover. Clearabee’s medium Beebags fit 3-4 washing machines and a small bathroom suite, including the tub. All materials are suitable from loose tiles to rubble and soil – a weight up to 1500 kgs. The exterior of the shed was painted a fresh cream colour to compliment the interior colour scheme of Shirley’s home. Shirley chose the allocated day and time that she wanted the rubbish to be removed, and Clearabee’s two men in a van took the filled bags away with them, to be deposed of environmentally safely as over 90 per cent of the rubbish removed by Clearabee is kept out of landfill and is instead recycled or reused.